From upscale retailers to discount department stores, there are a variety of options for you to choose from when shopping in the Aurora, Illinois area. At the Hampton Inn & Suites Aurora, we pride ourselves on offering accommodations that are conveniently located to some of the area’s best boutiques and shopping complexes. 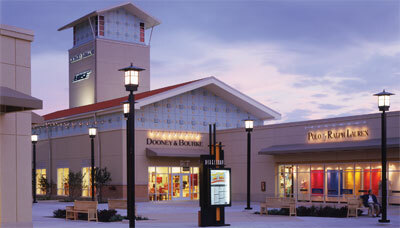 Featuring 120 stores, the Chicago Premium Outlets will meet all of your shopping needs and desires. Choose among stores like Armani, Banana Republic, Polo Ralph Lauren, J. Crew, Sony, Vera Bradley and more. From children, women and men’s fashion to home goods, toys and games, communication technologies, electronics and more, Fox Valley Mall has a variety of shopping options to choose from. After you’re done shopping at some of the most well-known brands, enjoy a meal at one of the center’s eateries. From unique boutiques to mouthwatering dining options and cozy cafes, Downtown Naperville has all the ingredients for a busy day of shopping, dining, and relaxing. Visit the Downtown Naperville website or download their app to keep up with special events and promotions at downtown Naperville businesses. You can’t go wrong in downtown Naperville! For more information on the Hampton Inn & Suites Aurora Shopping Spree Package, click here or call us at (630) 907-2600.